Egypt's top military body backs Abdel Fattah al-Sisi to run for the presidency. He is expected to resign as army chief within days. Egypt's top military body on Monday backed its commander Abdel Fattah al-Sisi to run for the presidency, which he is assured to win after, AFP reported. Sisi, wildly popular for overthrowing Islamist president Mohammed Morsi, is now expected to resign as army chief and put himself forward as a candidate in the election scheduled to be held by mid-April. The army's announcement came after a weekend in which dozens were killed in street clashes between Morsi's supporters and police and militant attacks, underscoring the difficulties Sisi will face. It comes nearly seven months after the army overthrew Morsi on July 3 following mass protests demanding the resignation of Egypt's first civilian president who hails from the Muslim Brotherhood movement. A victory for the 59-year-old Sisi, who will have to give up his military uniform to stand for election, would continue a tradition of Egyptian presidents drawn from the armed forces. The Supreme Council of the Armed Forces said "the people's trust in Sisi is a call that must be heeded as the free choice of the people," according to AFP. The statement said Sisi thanked the military leadership for allowing him "the right to respond to the call of duty." To his supporters, Sisi is the best option for ending three years of instability following the 2011 uprising that ended the presidency of Hosni Mubarak, another former military officer. On Saturday, thousands poured into Cairo's Tahrir Square to back Sisi's candidacy, after he said he required "public demand" to stand in the election. Elsewhere that day, at least 49 people were killed as police clamped down on protests by Morsi's supporters and anti-military activists. The violence showed how bitterly polarized the country is. More than 1,000 people, mostly Islamists have been killed in street clashes, and thousands imprisoned, since Morsi's overthrow. At the same time, a terrorist insurgency in Sinai appears to have spiraled out of control, as jihadists downed a military helicopter in the peninsula and set off bombs in Cairo at the weekend. A senior military official told AFP Sisi would step down from his command within days and run in the election. "He will then sit down, study a program" to implement after he wins the election, the general said. Sisi "wants to unite the people, restore security and Egypt's international standing," said the general. On Sunday, Egypt’s interim president Adly Mansour announced the upcoming elections in a televised address. The top commander had yet to resign, and may only do so after Monday, the general added. Sisi's aides have said he hesitated before choosing to run for president because he wanted to be sure he would be an effective leader. 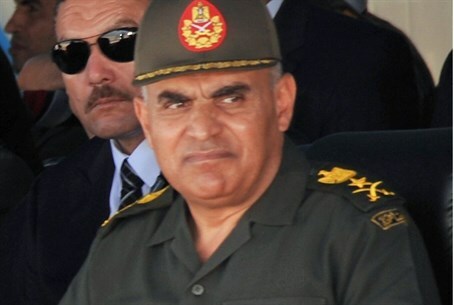 Hours before the army's announcement, Mansour promoted the army chief and defense minister to the top rank of field marshal. The government says a series of polls that started with a constitutional referendum in January and will end in parliamentary elections will restore an elected government by 2015. Sisi took the approval of the constitution earlier this month as a vote of confidence for his presidential bid.